Andrew Wallace was born May 26, 1980. As a child, he was involved in scouting, sports, keeping busy with his friends, reading, and anything else he had time for. 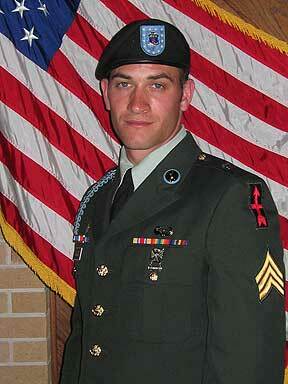 In spring of 1999, Andrew joined the Army National Guard and began his training that summer. 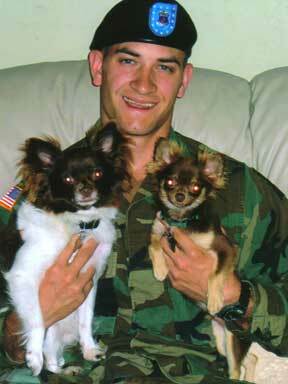 The summer of 2000, he completed his training, receiving the physical fitness award at his graduation ceremony. In summer of 2001 Andrew successfully completed his Air Assault training. Upon college graduation, Andrew accepted a teaching position in Oshkosh, Wisconsin teaching physical education, and working with the adaptive students. This kept him close to his home town of Ripon, Wisconsin, and he was able to continue officiating with his WIAA crews. Andrew's desire to pass on his moral values and zest for life kept him involved with many activities enabling him to accomplish this goal. He was always upbeat and positive, encouraging those around him to always do their best. It didn't matter to Andrew whether or not someone would win or lose. Most importantly he cared that people tried their hardest to succeed at whatever they were doing. This is how he lived his life! Through the Sergeant Andrew Wallace Scholarship Fund, Andrew's spirit will live on in the hearts and souls of many, including donors to the fund, and the recipients. We currently give out $1,000 to a graduating senior at Ripon High School, and at Oshkosh North High School. These students must be pursuing the dream of becoming a teacher and influencing young people, just as Andrew lived his life. In the future, we hope to add a grant allowing teachers / administrators to provide unique opportunities that would benefit the youth in any way. Supporting the Sgt. Andrew Memorial Scholarship Fund will keep Andrews spirit alive forever, while supporting and encouraging the teachers of our future. For more information, or to donate, click here.